Well, I thought I had the best brisket platter in my life a couple of times. In Texas, in the Carolinas, even in Aruba, I’ve had some darn good brisket. And then, I arrived in Nashville and went to Jack’s on Broadway, where all the music joints are located. 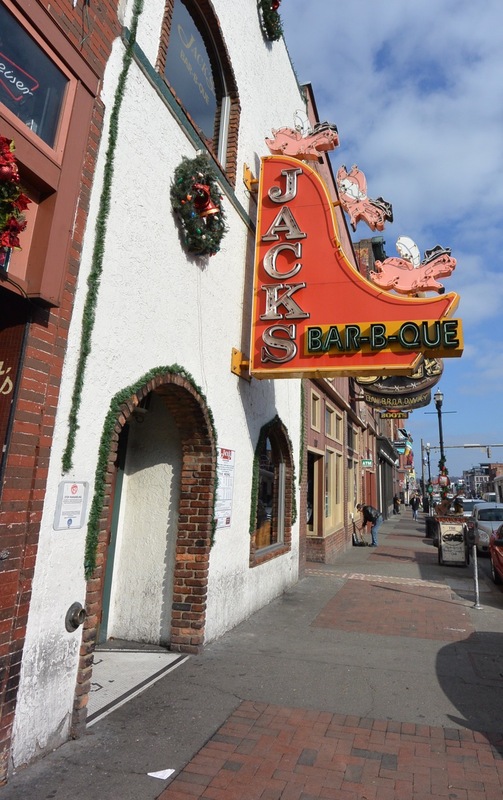 Exterior of Jack’s BBQ on Broadway in Nashville, USA. 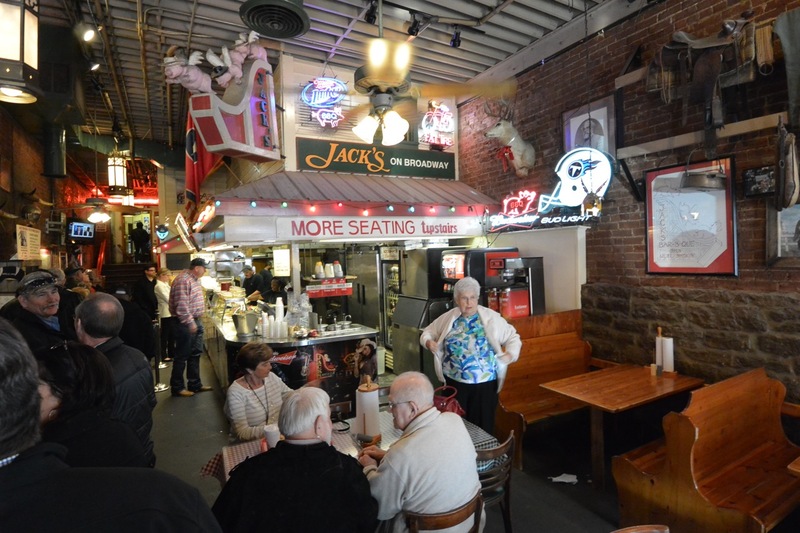 Interior of Jack’s BBQ on Broadway in Nashville, Tennessee, USA. 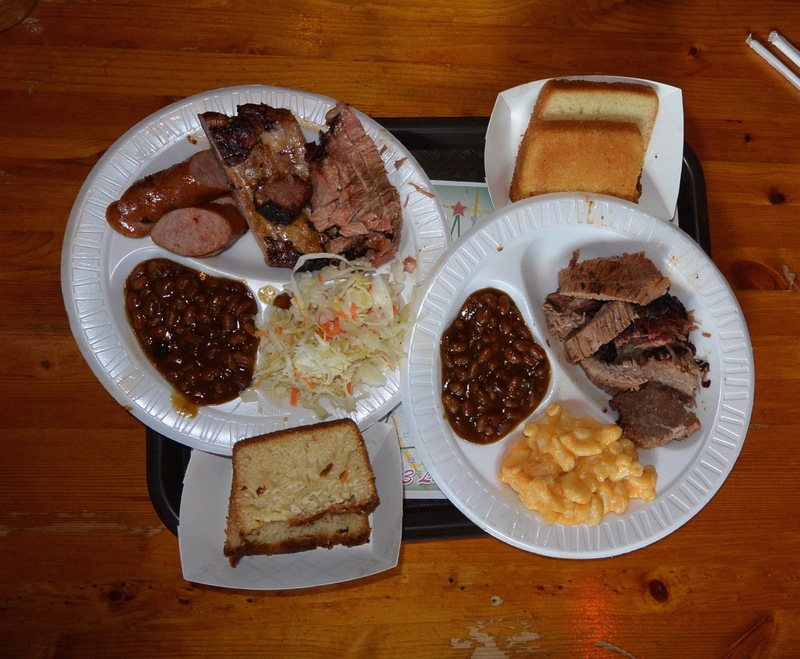 Mixed meat and brisket platters at Jack’s BBQ, Nashville, Tennessee, USA. The first bite of brisket was truly a WOW moment. Cooked low and slow with the right amount of smoke and love, that brisket topped my taste bud chart by far. The other meats, smoked sausage and ribs were darn good, too. I could see myself becoming a regular at this joint. Better renew my gym membership while I’m at it.